BRISBANE has ignited in a blaze of music, arts and theatre with the Brisbane Festival kicking off over the weekend, and according to organisers the annual event has also added some spark to the city's business community. Artistic director David Berthold (pictured) says the Brisbane Festival has grown to become one of the most well-known and beloved celebrations of the arts in the country. "Brisbane is a growing city, so it is still on a scale where a festival can have quite a deep and lasting impact on the city as a whole and its people," says Berthold. He believes the festival has become a key aspect of Queensland's cultural offering, playing its part in attracting visitors, business and new residents to the city. "When people visit a city, they want to enjoy all of the things about it," says Berthold. "We understand about the nature of cities that when businesses are trying to attract high profile workers or staff, one of the deciding factors is about the nature and personality of that city. "I am pleased that the presence of the festival, alongside many other things in the city, allows people to think of Brisbane very positively." 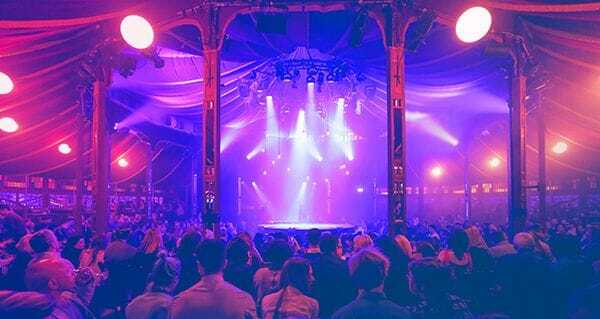 This year's festival again features the signature Arcadia cultural hub at South Bank, with two giant Spiegeltents setting the stage for an array of performances including Meow Meow's Little Mermaid, the California Crooners Club and London's West End cabaret-circus sensation Blanc de Blanc. Throughout September, Brisbane's hot spot venues, including the Queensland Performing Arts Centre (QPAC), The Brisbane Powerhouse and La Boite, will also play host to a variety of artists from both Australia and overseas. 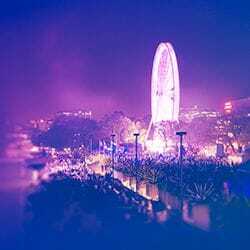 CEO Valmay Hill says the Brisbane Festival delivers a high calibre experience as the state's largest cultural event, firming its position as a cultural incubator alongside Melbourne and Sydney. "Each day Brisbane furthers itself as a dynamic, cultural city," says Hill. "The Brisbane Festival brings the arts to centre stage by showcasing local, national and international productions most not seen before in Brisbane, with some world premieres gracing the stage in 2016. "This really sets Brisbane apart from Melbourne and Sydney." The festival will culminate in the acclaimed Sunsuper Riverfire spectacular on September 24.